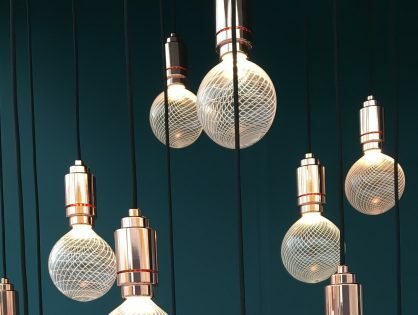 This week was London Design festival and I had a packed agenda as I tried to get around as many of the exhibits as humanly possible. Certain areas of London really do come alive with all things design and it’s a great opportunity to get a sweeping overview of new products and trends, meet other designers and suppliers, as well as putting faces to names. 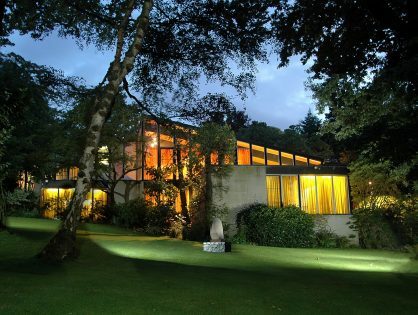 It’s a great industry and many of my best finds have been found during this week. 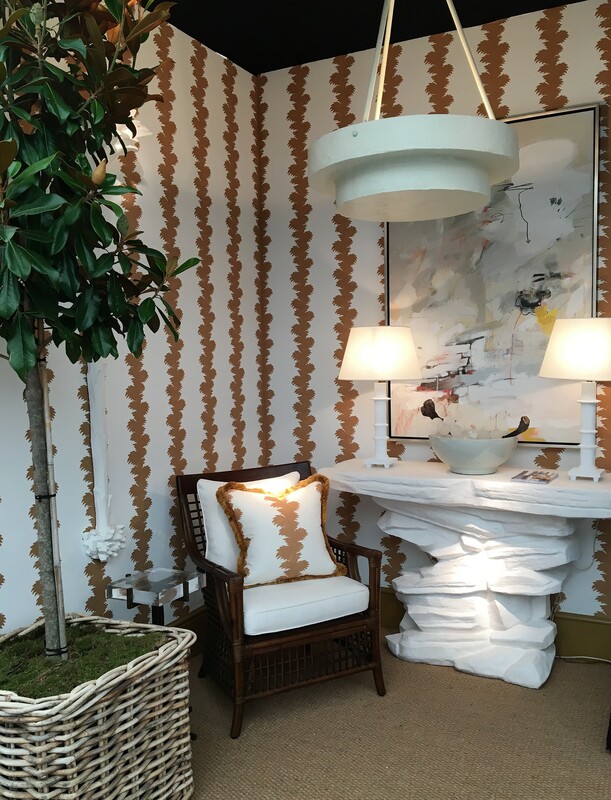 I managed to make it to the opening day of Decorex International at Syon Park. 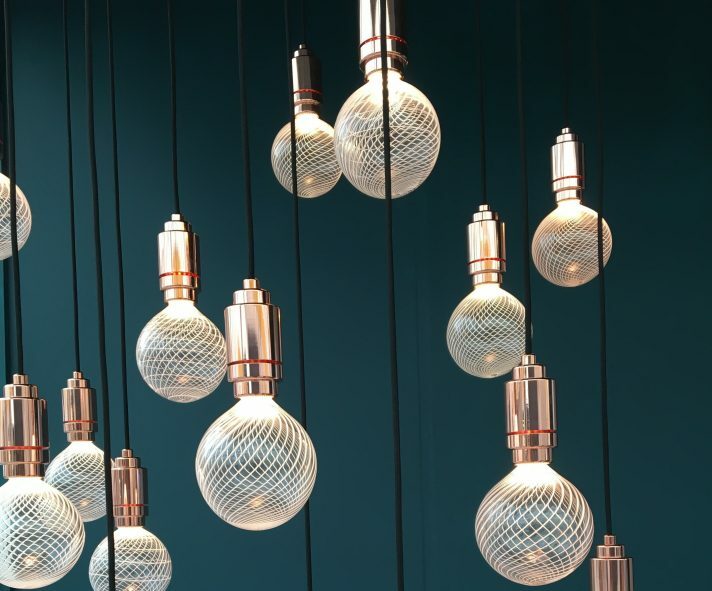 Decorex is a favourite as there are a lot of new and upcoming creatives as well as established brands exhibiting their products. 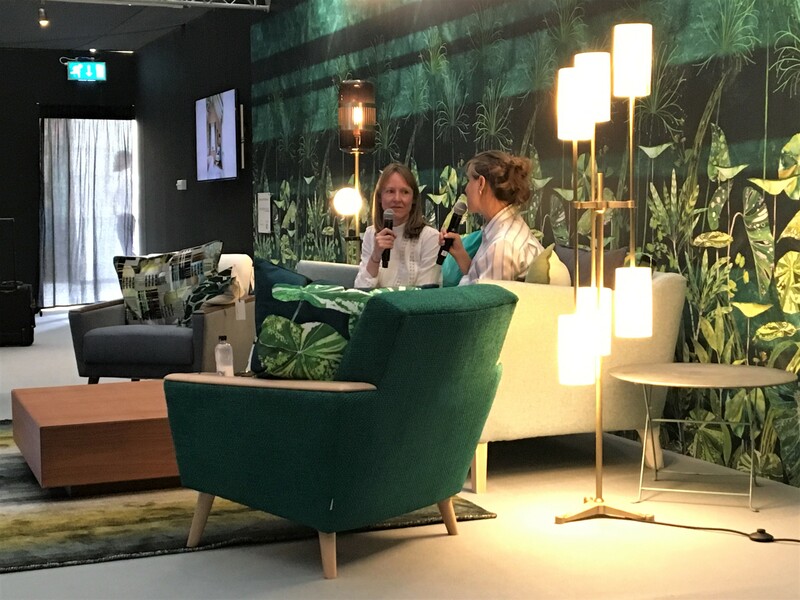 The show also hosts a series of seminars and talks, here I listened to a conversation between Editor of House and Garden magazine, Hatta Byng with Interior Designer of the Year Beata Heuman. Editor of House and Garden magazine, Hatta Byng with Interior Designer of the Year Beata Heuman. Below Paolo Moschino for Nicholas Haslam never fails to please with his bold use of prints and patterns. There were many eye-catching displays for lighting this year. Above (top) is the Filigrana design from Jonathan Rogers glass, even more attractive as you don’t see the bulb which is cleverly hidden in the fitting. 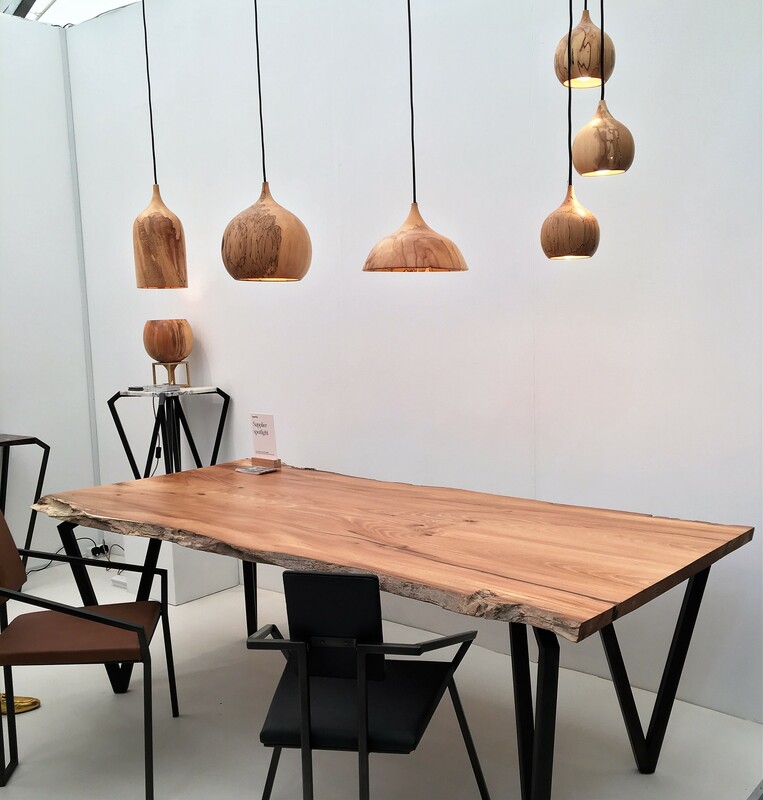 And below Tamasine Osher displayed these Cupola pendants, which are all hand-turned from a single piece of spalted beech, alongside beautifully crafted tables and angular chairs. 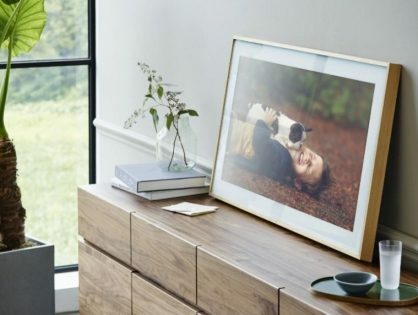 The contrast between the almost industrial metal frames and the organic wood is striking. 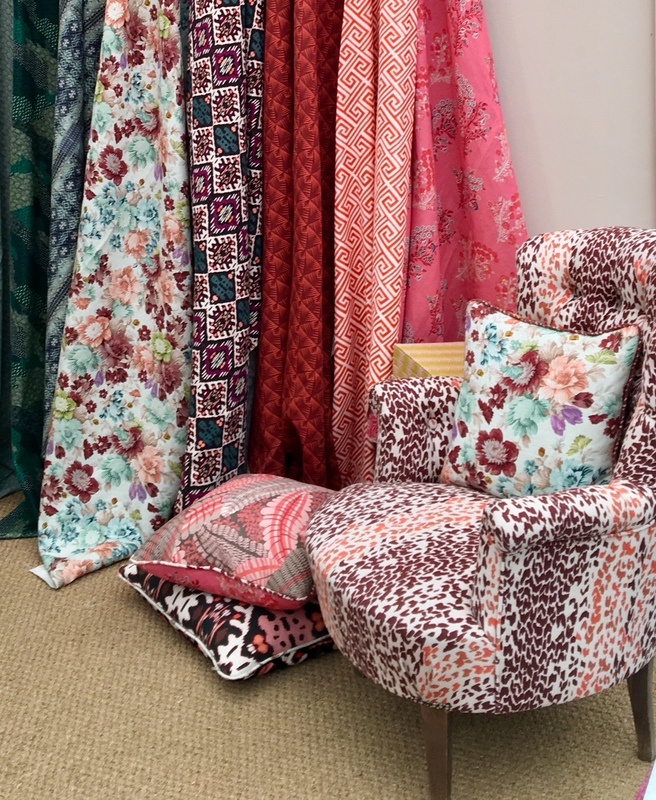 A favourite relatively new-comer was design duo Parker and Jules, two super talented and lovely ladies “evolving the landscape of British pattern”. 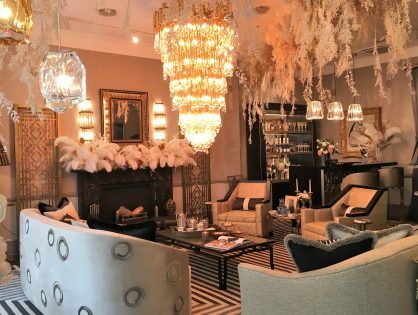 Below is a great combination of on-trend animal print and country house floral. 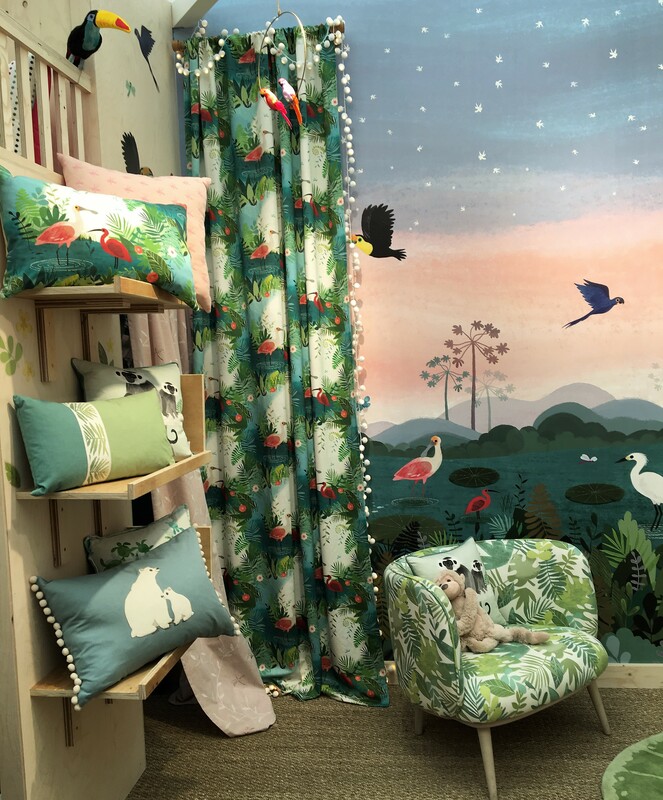 Fabric house Villa Nova almost stole the show with their launch of the “Picture Book” range for Children’s rooms. As the name suggests it’s inspired by childhood memories of whimsical story books. Ten kilometres of walking later I hopped over to FOCUS at Design Centre Chelsea Harbour. 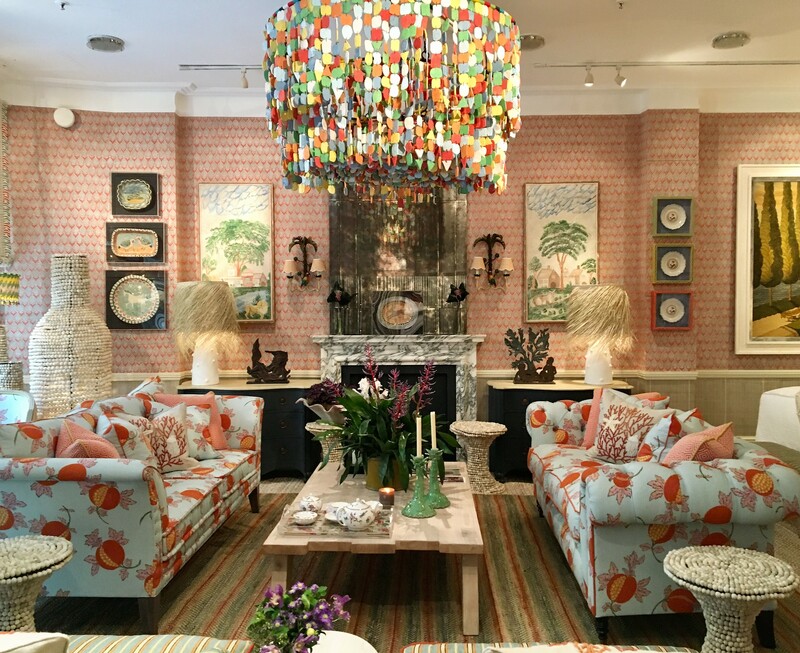 Here the show stealer was the pop up Caribbean Suite by Kit Kemp of Firmdale Hotels in the Turnell and Gigon showroom. I absolutely love her way with textiles, art and curious objects! Look closely and the detail is amazing. Sadly a super busy week meant I missed a couple of the other shows this year, but the week finished on a high as paint specialists Farrow and Ball released nine new colours. They only launch new colours every two or three years and this is the year! Jitney and Sulking Room Pink (you’d buy this for the name alone!) look like winners and most noticeably there is no grey. On that note I’m off to buy tester pots!